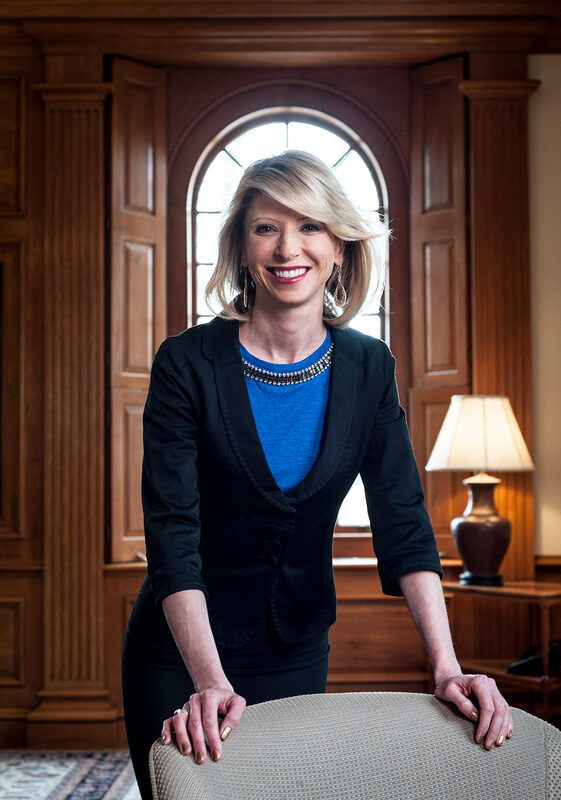 Portrait of Amy Cuddy of the Harvard Business School in Cambridge, MA taken for the Princeton Alumni Magazine. A medium long lens was used to limit the depth of field. The composition is very symmetrical with Amy Cuddy being centered in the window behind her.